Lakshya Sen: India's next badminton star? Lakshya Sen has been touted as the rising star of Indian badminton, and not without reason. The 16-year-old from Almora, Uttarakhand is currently placed at the World No. 2 spot in the Junior rankings, and the No. 104 spot in the BWF rankings. He ended 2016 ranked No. 1,391 and rapidly racked up points this year with solid performances on the BWF circuit. 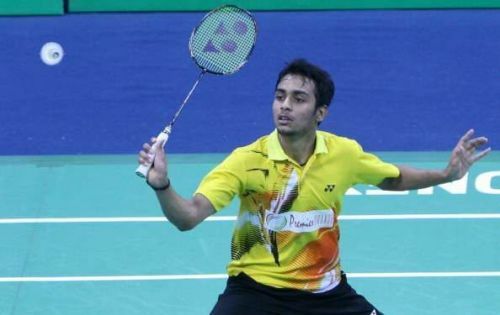 Sen is the third Indian to win a medal at the Badminton Asia Junior Championships, which he did in the 2016 edition. PV Sindhu and Sameer Verma won medals in 2012 and 2011, respectively. In 2016, Sen defeated Malaysian Lee Zii Jia, the BWF World Junior Bronze medallist, at the BWF International Challenger Series to win his first senior title. In 2017, he beat Croatia’s Zvonimir Durkinjak to win the Eurasia Bulgarian Open. Durkinjak was the second seed and ranked 102 in the BWF rankings, to Sen's 167. Sen also reached the quarterfinals of the Vietnam Open 2017, which is a Grand Prix tournament - the most prestigious series of BWF tournaments after the Super Series Premier and the Super Series. In that tournament he also beat Abhishek Yelegar, who was at the 82nd ranking position then. Sen's performance there propelled him up the rankings from No. 137 to No. 109; he got 3030 ranking points, and brought his total ranking points to 15710. He needs 2000 more ranking points to break the top 100, which he is likely to achieve by the end of 2017. If he does get there, Lakshya Sen will be the first Indian men's singles badminton player to be ranked in the top 100 at the age of 16. India is going to host the India International series 2017 and the TATA Open India International Challenge 2017 at the end of this year. These tournaments are helpful to an Indian badminton player for ranking improvement as they get to play on their home turf. They are level three tournaments in badminton, so many star players from India as well as the world skip them; that gives the lower ranked players the chance to perform well. Sen is now being trained by the former All England Open champion Peter Gade. He is also supported by the Indian NGO Olympic Gold Quest's junior scholarship. The brainchild of Geet Sethi and Prakash Padukone, this is a platform committed to helping Indian athletes win Olympic gold medals. India has produced several great badminton players in recent years - Saina Nehwal, PV Sindhu, Jwala Gutta, K Shrikant, and P Kashyap, to name a few. Sen undoubtedly has the potential to go a long way in the BWF senior circuit and take this legacy further. His performances at the Commonwealth Games and the Asian Games next year will be crucial to his career. Sen is currently playing in the World Junior Championships, where the Indian team has reached the fourth round.